I've long been a fan of automating your finances. There's a bit of freedom and a sense of accomplishment that comes from knowing you'll never have to pay a late fee again. Unfortunately, if you don't pay attention this can come back to bite you in more ways than one. Starting several months ago when I started writing for Notebooks.com I found myself spending more time working and less time tending to my finances, but I didn't give it too much thought since I had automated almost all of my payments, credit cards included, so that I would never be late. Well in the rush of things I forgot about the one thing that wasn't part of my automated finances: debt reduction. When I checked the balance on my credit card I found that I had missed paying anything other than the minimum for the last three months because I got too busy. Thankfully there's an easy solution to this problem since I found a new, to me at least, option with the auto-pay feature of my credit card. Instead of being limited to paying the minimum or the bill in full I can now choose to pay the minimum plus a fixed amount. 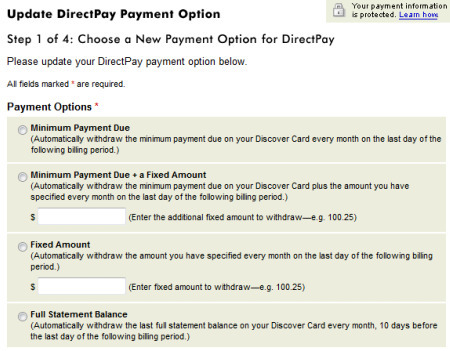 Now, it's easier than before to budget – and automate my credit card payments so I can avoid late fees and pay down my debt. One other gotcha to keep an eye on when automating finances is recurring bills. Because I'm automated, every recurring bill goes to a credit card which is automatically paid in full at the end of every month. This means I don't have to spend time dealing with payments but it also means I don't take the same amount of time to look for places to reduce spending. My first solution to this problem was to use Wesabe's Cutback Tool to check my finances every other month but the Cutback Tool is currently unavailable. Instead, I'll use a bi-monthly reminder to my calendar to review expenses manually. There's nothing wrong with automating your finances, in fact it's a great way to avoid late fees and save yourself time, but if you forget to test your system like me it can end up hurting you in the long run.